Night skiing is something every skier should try at least once, an easy activity to do in Montreal with three night skiing options about one hour or less from the city core. We also added on three other solid options a little further out. Granted, night skiing is chillier than day skiing so dress warmer than you usually would for day slopes. And be prepared for an exhilarating run-filled evening with smaller crowds, shorter lineups and great deals on lift tickets. 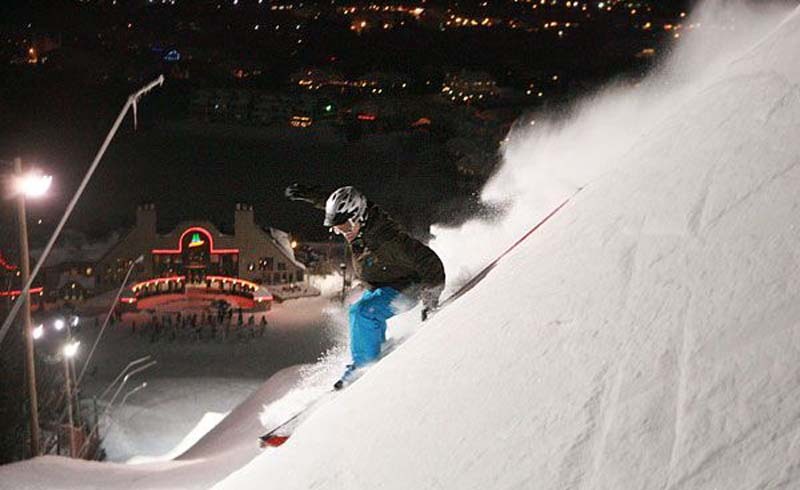 Night skiing admission prices are typically cheaper than day rates. 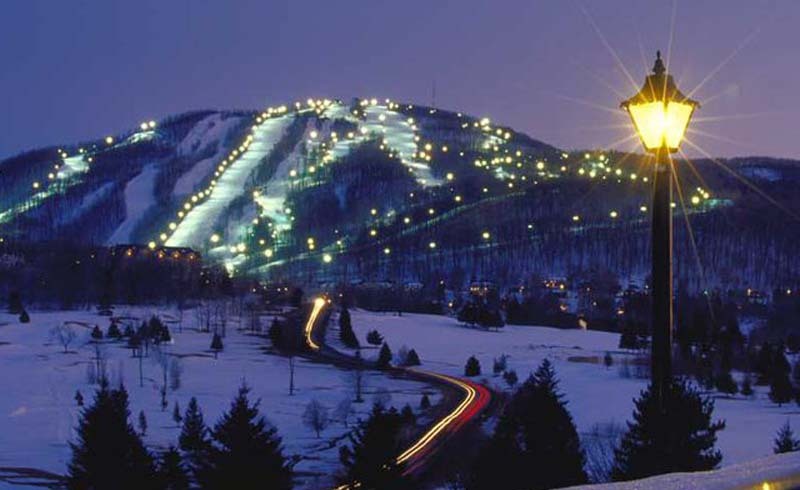 Claiming the largest lit skiable area in North America, Bromont is just over an hour's drive from Montreal, a solid and convenient bet for skiers of different skill levels. And the party vibe is amazing on select nights dubbed Nuit Blanche. 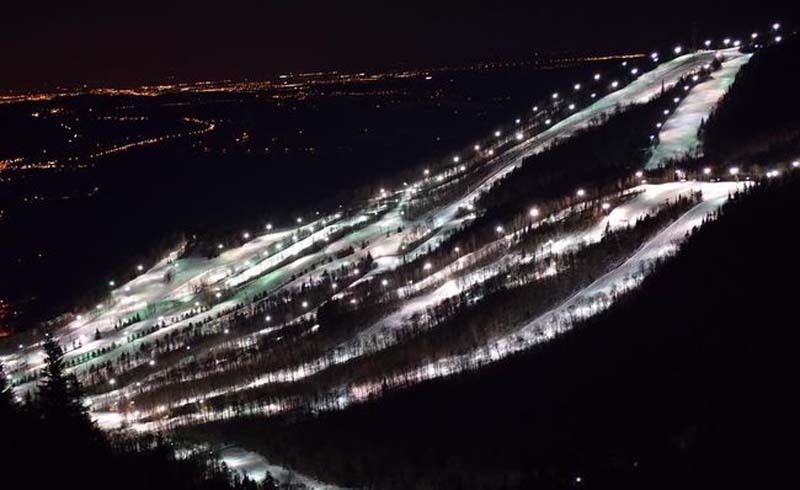 In spirit with the annual all-nighter event in Montreal going by the same name, Bromont's Nuit Blanche nights feature night skiing until the wee hours of the morning, usually until 2 a.m. Music, sausage and marshmallow roasting in between runs and a surprise pop-up activity are part of the experience. Purchase pre-sale night tickets online and get an even better deal that purchasing on site. Claiming one of the largest lit skiable areas in the world, I was a little harsh about Saint-Sauveur's runs in my Quebec ski resorts piece. But it had to be said. The trails are generally easier than labeled. I would go as far as to say really easy if you're comfortable on blue square trails and black diamonds. But they're still fun! And if the winter sport's high admission fees and costly equipment rentals have been holding you back from your favorite hobby for years, you won't care how easy they are, am I right? 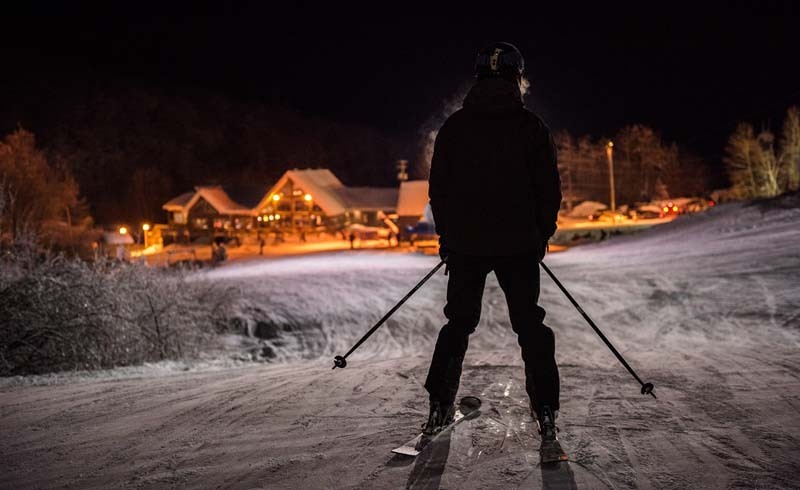 About a one-hour drive from Montreal, a night at Saint-Sauveur is actually a great way to get back into the swing of the sport. For the best night skiing deal I've come across, try Monday evening's $19 special, Tuesday's ladies night or the over-age-60 Tuesday and Thursday deals. All good stuff. 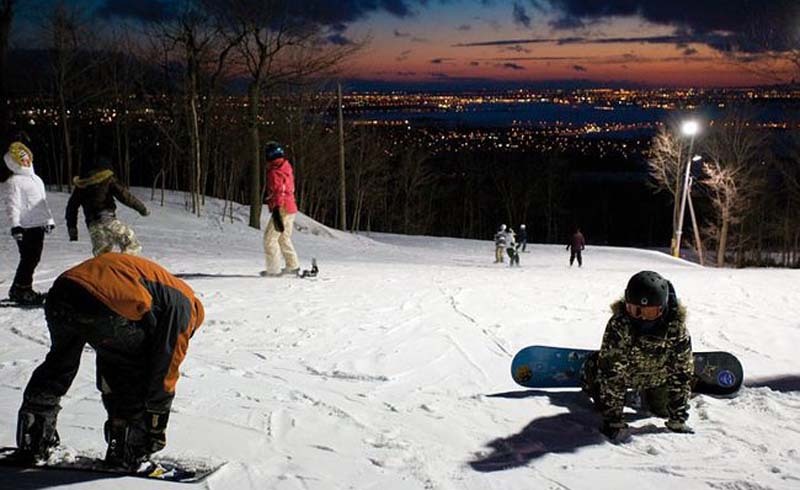 Less than 30 minutes from downtown Montreal, Mont Saint-Bruno is the closest day or night skiing option relative to the city. A fairly small hill with a modest 400 feet vertical drop and generally novice-friendly runs, prices are very affordable for the sport, with the option to pay for as little as two hours of skiing. All in all, a choice spot for a quick evening trip outside of Montreal. 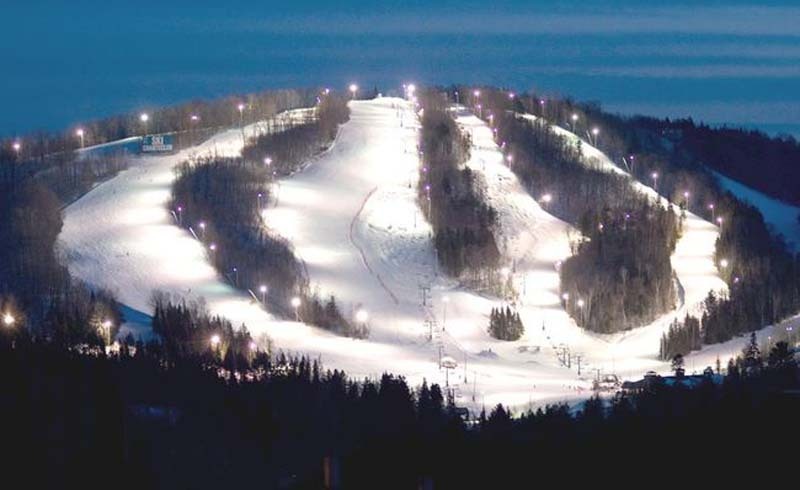 A little over an hour from Montreal is Ski Chantecler, a charming small-scale hill north of Mont Saint-Sauveur with typically uncrowded lift lineups and select trails out of its 17 lit up for night skiing on Fridays through December and Fridays and Saturdays throughout the month of March. 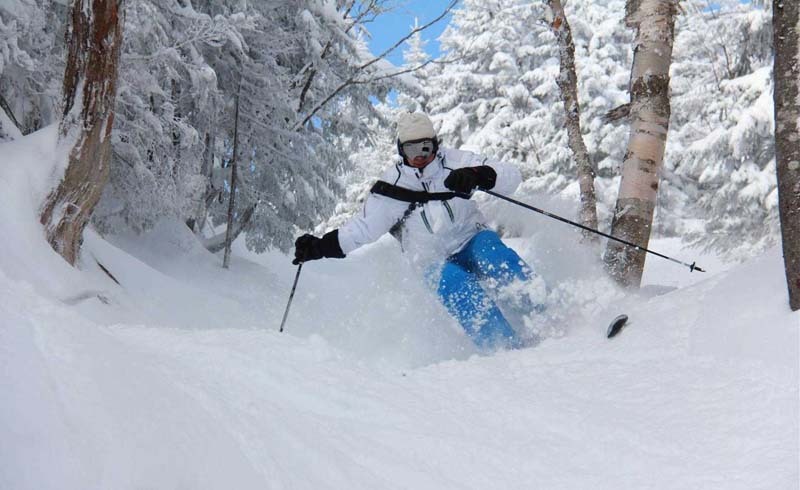 Stoneham is further out than the previous three hills, about a three-hour drive from Montreal and just in their neighborhood of Quebec City, but ski conditions are typically solid. Stoneham is especially kind to daredevils, with great terrain parks for jumping, grinding and spinning. With any luck, by nightfall the party vibe comes out. Yet Stoneham manages to make families feel just as welcome as groups of spring-breaking college kids. If there's one common thread to visitor reviews of the ski station, it's over how friendly staff is and how well-organized the layout of the hill is relative to accommodations. Mont Sainte-Anne's reputation precedes itself. 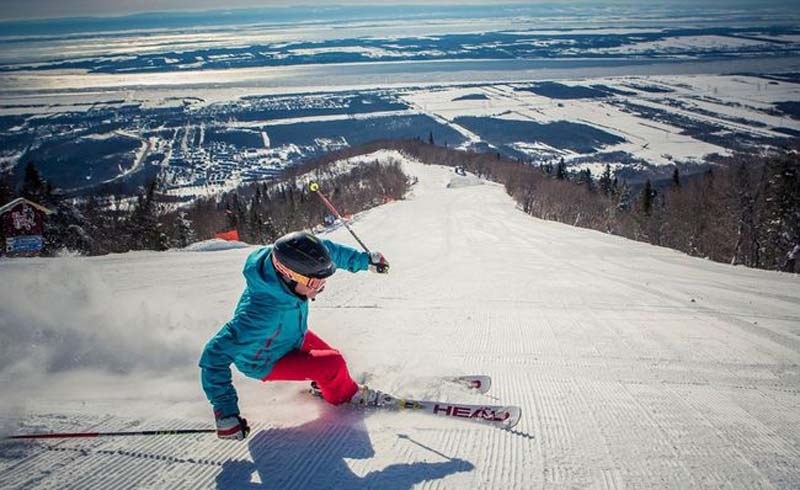 One of Quebec's best known ski resorts located 40km northeast of Quebec City, Mont Sainte-Anne is a three-hour drive from Montreal. Boasting the highest night skiing vertical drop in all of Canada, about two-thirds of Mont Sainte-Anne's runs offer a suitable challenge for advanced and expert skiers, complete with intimidating views down below. As you can see from the photo, this is not the ideal mountain for nervous newbies, but beginner trails are nonetheless on the menu.